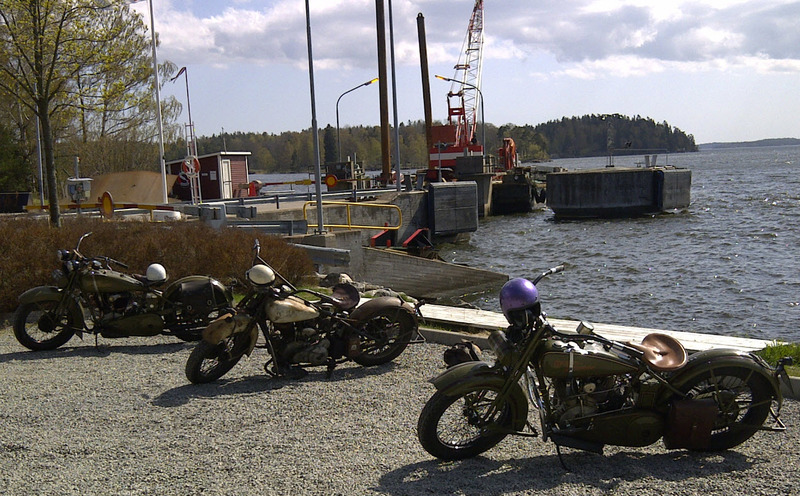 American Motorcycles Norway / Veteran-Mc.com: Picture from Uffe "halvtopp"
Swedish Uffe is one of those not afraid of using his old iron as it was meant to be from the makers. I am lucky enough to get pictures from some of his rides every now and then, which is a great inspiration to me. 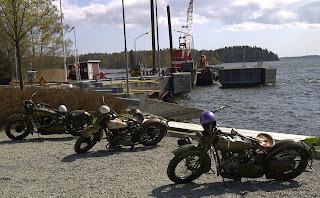 The enclosed picture is from one early spring ride in the Stockholm archipelago where Uffe "halvtopp" rode his 29 to the far left in the picture, his mate Fredrik rode the all original 33 Chief and to the right is "the other Uffe`s" 27. Let this picture inspire you as me to get out and ride those old iron of ours.